F8: Displays thumbnail images of all workspaces. F9: Displays thumbnail images of all windows in a single workspace. F10: Displays all open windows of the currently active program (the program that has one of its windows on “top” of any other windows). F12: Displays Dashboard, which are simple programs such as a calculator or calendar. The other keys — F1 through F7 and (possibly) F13 through F19 — don’t do much of anything in most programs. 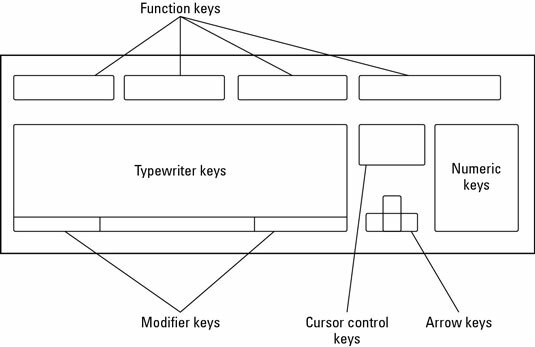 Because these function keys aren’t very useful, laptop keyboards and the latest Apple keyboards often assign hardware controls to these seldom-used function keys. For example, pressing the F1 and F2 function keys might change the brightness of the screen, whereas pressing other function keys might adjust the volume.